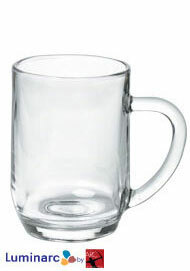 Anyone that loves beer knows that "beer glasses" are not referring to the way the world looks after finishing off a few drinks. It is referring to the drinking glass a perfectly poured beer is in. When a beer is in the "right" glass it looks more appealing. Presentation is very important, especially to commercial businesses like restaurants and bars. 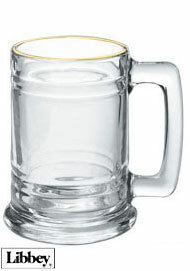 Lager needs to be presented in a glass that reflects light to add visual appeal. 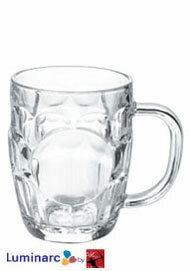 Also of high importance is the head of the beer which is affected by the size and shape of the glass. 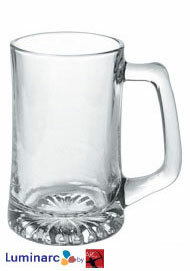 Our 15 oz and 20 oz Beer Mugs are perfect for clinking glasses, holding substantial amounts of alcohol, making your beer look oh-so tempting, and for the time of your life. 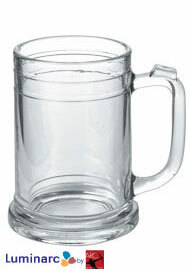 These drinking glasses are top notch brands of Libbey and Luminarc which means they are quality and durable glassware.